Satisfying daily needs and demands has always been a human concern. As such, merchandising is an indispensable part of social life. A key product in the supply-demand process is carpet that was originally produced to satisfy a basic need; however, with the improvement of weaving and dyeing techniques, the luxury aspect overcame the mere need and the trade passed the borders of the country and travelled over lands and oceans through the Silk Road following the fall of Asia-Europe Wall (after the Crusades). Due to the unsafe situation of the region before Ilkhanate Dynasty, it is highly improbable for European merchants to enter Iran at that time and the commerce, if any, was carried out by Iranian tradesmen. This is while the Ilkhanis (from mid-13th century) made hard efforts to maintain the safety of the roads and persuade foreign nations to do business with Iranians. As the Ilkhanate kings paid special attention to decorating their tents, they enriched the rug-weaving industry. 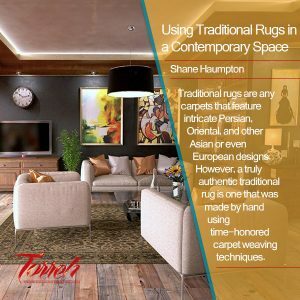 According to travel books and historical sources, the oldest examples of carpet commerce can be traced in Timurid Dynasty (late 14th century to early 16th century), although no carpets are remained from this period and the studies have all been carried out based on written sources and illustrations. Rugs woven at this time were sent to different places of the kingdom to cover mosques and castles. The Safavid Dynasty (16th to 18th century) can be referred as a glorious era in the history of Iran. Safavi art-lover kings contributed to the rapid enhancement of arts in different spots of the country which led to the establishment of various rug-weaving factories in Isfahan, Kashan, Tabriz, Kerman and other cities. Concurrent with the beginning of Safavid Dynasty, a large group of European diplomats and merchants (who were religious preachers in the first place) flooded into the country in the hope of taking control over the process of production and export of this colorful art-industry and were therefore influential to foster mutual relations between Iran and the West. The first delegation was dispatched by Queen Elizabeth I to the court of Shah Tahmasb in Qazvin. The visit was not much successful due to the king’s extreme biases about Islam. The visits continued till the time of Shah Abbas when a British delegation that was certain of the court’s support of Christians came to Iran. Shah Abbas greeted them with kind hospitality and gave them absolute permission to establish commercial centers and run their business (including that of rugs). Also East India Company launched offices in Shiraz and Isfahan at the time. The kingdom of Shah Abbas was also concurrent with the production of so-called Polish rugs which dated back to 1605 but were labeled “Polish” once discovered. However, research revealed that these gold lamé rugs (containing the pattern of Royal Eagle) had in fact been woven on the order of the Polish king in the factories of the city of Kashan. The high quality of Persian rugs in Safavid Dynasty enriched the trade and the success has been mentioned in travel and history books. Jon Benet in his research studies (published in “Eastern Rugs and Carpets”) and Eskandar Beik Monshi in “Abbasi Universal History” (Alam-Ara Abbasi) referred to the high quality of rugs from Kerman and their export to India at the time of Akbar Shah. The woven rugs were exported differently in Isfahan, Kashan, Hamedan and Tabriz. For exports to Europe, top rugs from Tabriz were sent to Turkey, rugs from Kerman and Shiraz were sent to India through Boushehr and Bandar Abbas, and rugs from Hamedan were sent to Kurdistan in Iraq. In the 16th century, Portuguese merchants settled in the Persian Gulf and started their business. They sent their commodities from Hormoz to Basra and then to Europe across Bagdad and Syria. This group of merchants was not much approved by Shah Abbas and was therefore made to leave the country. There were internal exchanges apart from foreign business. According to Hubsen, Iranians used to go to Hashtarkhan in early June to exchange their rugs and carpets with other goods like fur, tanned animal skins, etc. (Following the demise of Kanach in 1619, Giles Husben came to Isfahan as head of the British merchants and commerce). The downfall of Safavid Dynasty was also an end to the art-nourishing kingdom in Iran and it took a long time for the carpet-weaving factories to survive the outcomes of war. With Nader Shah coming to thrown in the 18th century, Iran got into a constant turmoil. Nader Shah’s unlimited ambition to expand the country was in a way beneficial to Bandar Boushehr as a sea passage for commerce, but trade was far less flourishing due to continuous assaults of the time. However, according to the remaining written documents, Mashhad was a key prosperous city where merchants from different neighboring countries used to work. After the murder of Nader Shah, the existing disorder and the 33-year commercial relations between Iran and Britain came to a halt. At the time of Karim Khan Zand (mid-18th century), commerce was more neglected due to consecutive wars (especially that with Agha Mohammad Khan) and Bandar Boushehr lost its commercial boom. During all those ups and downs, people continued weaving and exporting carpets to satisfy their daily needs. British merchants could again find their place in Iran’s commerce and succeeded to establish a commercial center in Iran in 1763. 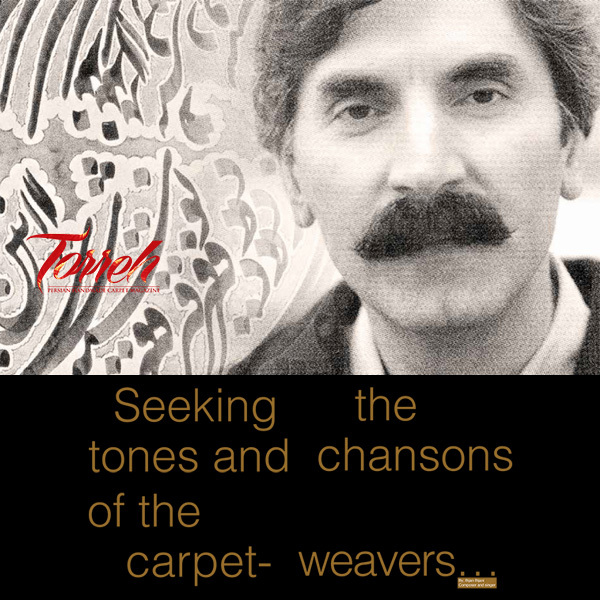 According to German orientalist Karsten Neighbor, the best carpet of the time belonged to Isfahan that was exported to Europe across Boushehr. Neighbor also states that at the time of Karim Khan, Turkmens used to dye wool, weave good carpets and export a great number of them each year. Agha Mohammad Khan Qajar who spent his childhood in Karim Khan’s court used every opportunity to tear off the precious rugs covering the halls. The conditions and safety of roads were not much attended during Agha Mohammad Khan’s rule (late 18th century). As a result, no ideal grounds would be made to improve commerce and exports. We may just point out to his efforts to do foreign trade mostly in the cities of Rasht and Qazvin with Russian merchants (through the Caspian Sea), and in Yerevan and Khoy with Caucasus and the Ottoman (through the Black Sea). Over the rule of Qajar kings, Europeans especially the British managed to get into Iran. Some of their companies included Eastern Carpet Producers Company (OCM) managed by the famous British carpet expert Cecil Edwards, Ziegler Company, the Italian-British Company of Casteli Brothers and etc. These companies could get the hang of carpet production and export during Qajar Era while Iranian skilled weavers were unfairly employed by these companies for a mean income. According to Annette Ittig, multinational companies began to invest in the business and opened big factories to weave carpets based on Western taste but the outcome was the production of low-quality carpets made from chemical colors (aniline or ink) for the sake of more profit. Using ink (aniline) colors in carpets incurred an irrevocable damage to Persian carpet. This is while Persian carpet was the pioneer of all other rugs. To prevent possible misuses, Iranian embassies in Milan and Washington suggested that the rugs be labeled inside the country. An important undertaking done during Qajar rule was Naser al-Din Shah’s orders to destroy all ink colors and collect all aniline-colored rugs. The first order was implemented for a few years. About 20 years later, due to failure in the implementation of the second order, taxes were levied on aniline-colored carpets (first 3, then 9, 12, 18, and finally 20 percent). The taxes were supposed to be spent on conducting research on dyeing which never came into effect. According to Yoshida Masahiro (Japanese delegate to Iran in Qajar Dynasty) who had a trip to Iran in 1880-81, Persian carpets, the best of which came from Shiraz, were sent to India across Bandar Abbas in East India Company’s ships. They became so popular that foreign commercial centers published illustrated books and pamphlets to introduce Persian carpet in 1890 and afterwards. 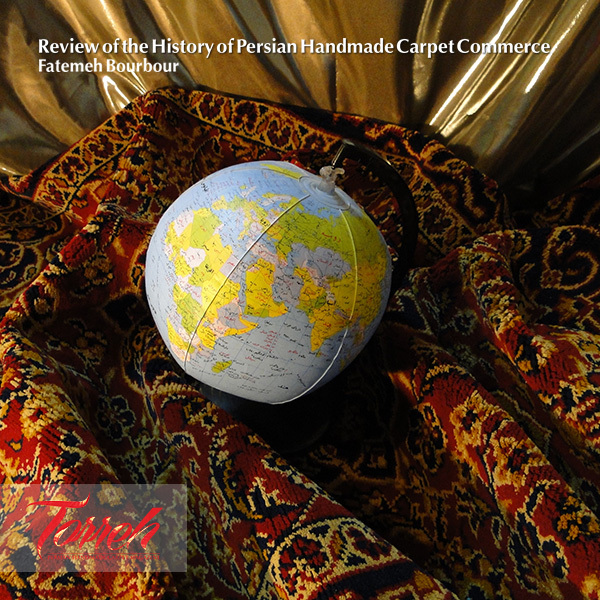 The development of carpet production and export centers during Qajar Dynasty created outstanding changes in textile, dimension, pattern and quality of rugs compared to those in previous periods. Rugs came to be recognized as an indispensable part of people’s daily life and this was largely reflected in photos and paintings. Qajar Dynasty became a turning point in the history of carpet production and commerce through a variety of carpet-weaving machines and carpet export. This was undoubtedly influential for the employees in the occupation. 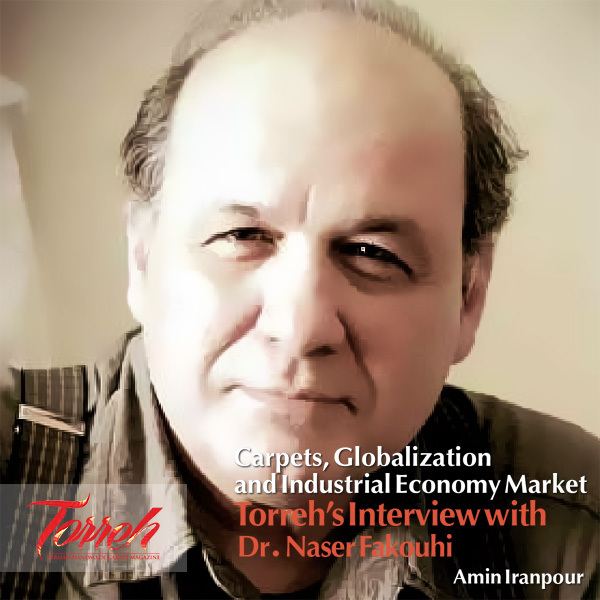 John Foran (author of Fragile Resistance: History of Iran’s Social Transformations from Safavid Era to Years following the Islamic Revolution) has referred to the employment of 6500 workers in 1910 and half of the total population of workers in 1914 in this industry. Near the end of Qajar rule (beginning of the 20th century), the subject of constitutionalism was raised. Merchants who needed peace and safety to carry out their commercial activities started supporting the movement in an attempt to help the slack market boom. The messy situation was linked to the beginning of Pahlavi Regime when national affairs were mostly interfered by foreigners. The difference was that this time Russian and British agents were replaced with Americans. Carpet commerce was therefore manipulated by either the monopolist British who established their privileged companies in Iran, or the Americans who stocked Persian carpets in the customs and did not let their sales in their country. According to the book “Some Documents on Persian Carpet Industry”, the huge taxes levied on Persian carpet by the American and French actually stopped carpet export. This is while US-made cars were imported to Iran without any customs duty. In sum, carpet export faced a lot of challenges even at its peak. Reports by Seyed Hassan Taghizadeh from London (1929) revealed that carpet export was sinking mainly due to unfair customs duties imposed on exported rugs. The condition of Persian carpet which used to be the number one product among non-oil exports was so deteriorating that it was constantly threatened by China, India and Turkey. 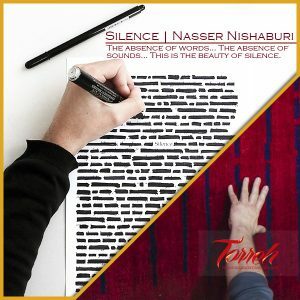 The important role of Tabrizi merchants in improving the quality of Kermani carpets cannot be ignored. They used to purchase those carpets and export them to Turkey and Europe. This helped American and European merchants get into Kerman. Then with the beginning of World War I in 1914, the foreign market lost its boom which in turn led to the recession of carpet-weaving industry in Kerman. While the end of the war turned the conditions in favor of Kermani carpets, Germany’s defeat considerably reduced the activities of Tabrizi merchants who had used Central Europe as the center for their business. The industry was also affected by the US economic crisis. Following World War II, some factories forced weavers to make changes to carpet patterns. End of World War I was concurrent with American companies starting their business in Kahsan. After the war, due to the crisis in Europe, the US took the lead and launched some offices in Kashan. Another significant undertaking was Tabrizi merchants purchasing people’s old rugs and sending them to Istanbul for American and European buyers. The success of carpet commerce, though remarkable at some times, was not constant which is itself witness to lack of an efficient management in this industry. Today, exports in general and carpet export in particular have been under the influence of oil and its export (especially in the past 50 years) and damaged a lot.